Whether a consequential percentage of next generation last mile delivery technology will ever be completed by drone has been the cause of much speculation over the last few years. I imagine it may have some specific applications to remote delivery locations but not become a widespread practice. Such a development could certainly change the same day delivery arena to some degree and it's not a surprise that Amazon are looking to take the lead in the United States if drone delivery is eventually approved. That day might be coming a little nearer with news that the FAA have finally given clearance for Amazon to begin drone testing here at home. Drone delivery is already a (very limited) reality off the coast of Germany, in parts of India and in China by the Alibaba Group. I expect if approval is ever granted in the United States that Amazon will be the very first to offer the service with all of the PR and hoopla that would come with it. 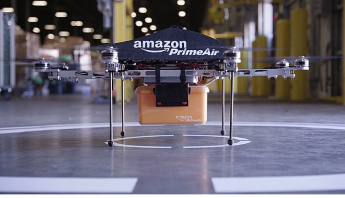 The FAA have sent an official letter to Amazon allowing them to conduct very test flights of 'up to 400 feet' and at speeds 'not to exceed 100 mph'. Perhaps the most telling regulation is that the drone must always be 'within the line of sight' of the operator which makes me question what practical applications such a transportation method could eventually have. 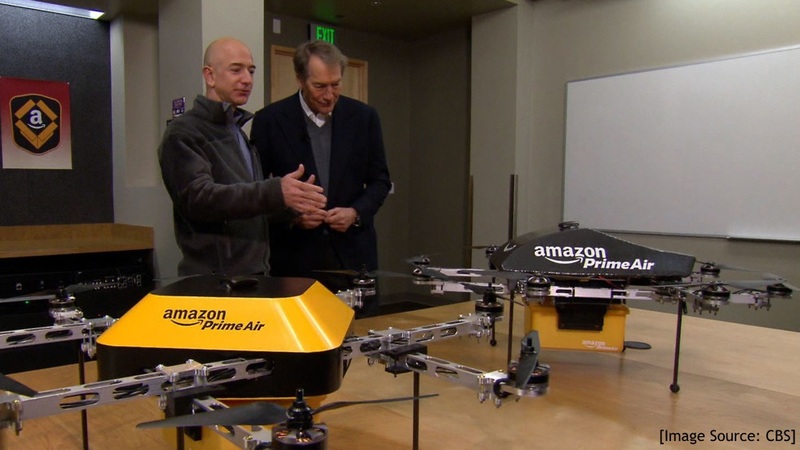 It remains to be seen whether the limitations offered by the FAA are just for testing purposes or a negotiable alternative could be proposed by Amazon, or indeed any other operator. For the time being at least it means that Amazon can keep the public excited by the idea of drone delivery at some point in the future. Whether that practical application means a driver doesn't have to take a delivery van the final 400 feet to a home or business leaves me wondering whether practicality could be overshadowed by novelty. To date the most logical drone service sees DHL shipping daily parcels to the German island of Juist, a small inhabited island about 7 miles off the coast of mainland Germany. The thought of regular drone delivery to inhabited islands served only by ferry seems viable. The idea of shipment to a staging point on somewhere like Catalina Island to allow regular drone flights from Long Beach or Newport Beach makes perfect sense.We'd love to know your thoughts about the future viability of same day delivery services by a drone.